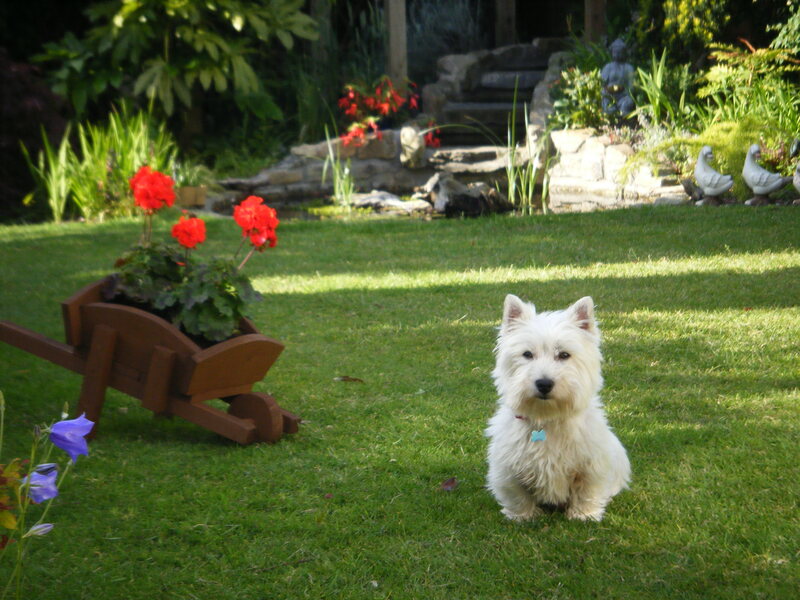 Fostering is taking rescue a dog into your home on a temporary basis, acting as a “half-way house” for a Westie who has been taken from his previous home and is preparing to move on to his new home. Dogs who have just lost their old home need a period of adjustment, to help them move on emotionally from their old home, and get ready to hand his heart over to a new owner. Some of our dogs come from a really bad place, and need to learn how to live indoors and be a pet dog, just like they always should have been. In a foster home, these dogs can learn how to be a pet dog again, the foster home plays a vital role in getting the dog ready and able to settle much more quickly into a new home. 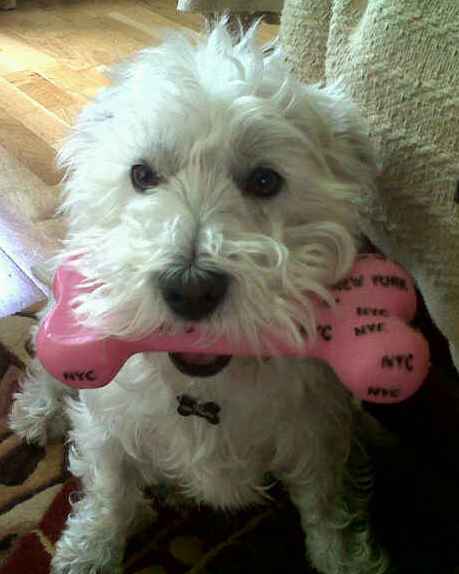 Other Westies have come from a great home whose circumstances have changed. Sometimes, these dogs find it hard to adjust to losing their old home. We find that these dogs can take a couple of weeks to break the old bond and be ready to make a new one: a foster home plays such an important role in giving the foster Westie space and time to make the necessary emotional adjustment. I think this third category are the ones that need foster care most of all. These are the Westies who aren’t in the peak of their health when we get them in. Most of the time, these are Westies suffering from the Westie skin condition known as Atopy. We don’t like moving these dogs straight into a new home, preferring instead to get them well on the road to recovery before they move on. What’s more, these dogs can’t be neutered straight away due to the bad skin, and we don’t rehome Westies until they’ve been neutered. So, in a foster home, atopic dogs can get the necessary medical treatment and baths that they need to get them on the road to recovery, until they’re well enough to be neutered, and shortly after, rehomed. Fosterers taking on an atopic Westie need to be prepared for a good bit of work with very regular baths, and medication that can make the dog nauseous, but the gratification of getting a miserable, itchy, sore dog back to good health is hard to put into words. This process takes about 6-8 weeks to get the dog to rehoming stage, and Westie Rescue pays for all the necessary medications. Atopy, or Westie Skin, is not transmissable: if you already have a dog, he or she will not catch atopy from the affected Westie. Sometimes we get ex-breeding, ex-puppy-farm females in. They are usually poorly, weak, undernourished, some have lost the will to live, whilst others are very scared of people. Again, these are a longer-term project for a fosterer, as they need to be nursed back to health and learn that humans don’t have to be all that bad. Very occasionally, we get a really sad story in, where the Westie is so ill, or so old, that we know he or she only has a limited amount of time left. However, if these dogs still have a little bit of quality of life and dignity, we try to find a longer-term foster home, probably more correctly called a retirement home, where they can live out their days. Often these dogs have had a terrible life, and we like to give them a chance to live out their remaining time in comfort, with a nice warm bed, good food, and lots of TLC. It seems only fair to let them know some love and kindness in their final days. How long would I need to foster for? Most Westies require fostering for 2-3 weeks. This gives them a few days to settle in with you, then have the neutering operation, then a week or so to recover from the operation. Atopic Westies need a bit longer: it usually takes 5-6 weeks to get them to the stage where their skin is recovered enough for the dog to be neutered. Once they have been neutered and have recovered for a week or two, they’re ready to go. So, an atopic Westie needs 6-8 weeks of foster care. Other sorry cases may need up to 8 weeks’ foster care too, but generally, they are taken on a case-by-case basis. We don’t overstay our welcome: if you need a break between foster dogs, that’s no problem! I am always available for any problems you’re having with the foster Westie, and we can always take them back if things aren’t working out. Medically, what needs to be done with a foster Westie? Most dogs need to be neutered, vaccinated, flea-treated and wormed before they move off to their new home. Many of them need to be clipped and groomed. Westie Rescue organises and pays for all of this to be done at a subsidised rate with one of the brilliant vets who help us out around Ireland. We find that it is easier and less stressful for many dogs to be in a home environment to recover from the neutering operation. We ask that the fosterer brings the dog to the vet for neutering, ans collects the dog whenever he or she is ready for collection. Should the dog need emergency medical attention at any stage during fostering, we liaise with the fosterer and get the dog to one of our trusted vets. 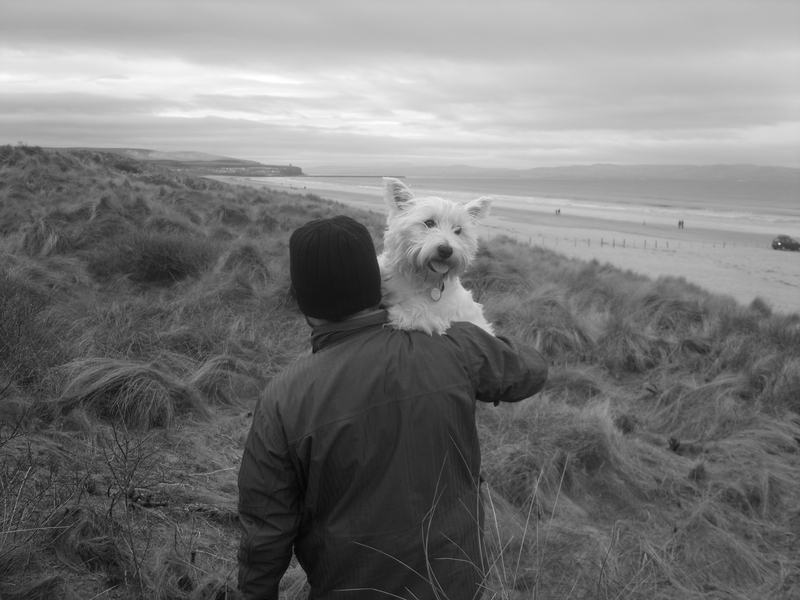 We ask that the fosterer commits to taking the necessary actions to get the dog to the vet if and when necessary, and Westie Rescue pay for the vet bills. Some people can’t take on the full-time commitment of a dog for the rest of it’s life. Some people already have another dog and aren’t sure if he or she will get on with a new dog in the house. Some people just love to help a dog in need! If you’ve got the time, the space and the heart, and don’t have very young kids living in the house (as Westies can be a bit temperamental around kids), we can explore the avenue of fostering with you. If you think you can offer this invaluable service and volunteer a space in your heart and home to a temporary Westie, please contact me to discuss the process in more detail! Jack's old owner gave him to us in a deplorable state. He now enjoys life doing a spot of gardening with his great new mam and dad in Dublin! I think I’d be upset having to hand the dog back!You know, I think it’d be odd if you didn’t feel a bit sad saying goodbye to your foster dog! It gets easier though! However, I think it’s important to focus on what a pivotal and important role the fosterer plays in the foster dog’s life. The fosterer can give me vital information about the dog’s temperament, personality, and behaviour, which in turn helps me to find just the right home for that dog! Fostering is also an opportunity for the dog to learn a few new skills. All in all, by fostering, you are acting as a vital link between the dog’s old life, and his new life. You, the fosterer, are setting this little dog up for great new things, and although it’s sad seeing them go, you know that the little Westie is going to a home to call his own where he will be the absolute apple of his adopter’s eye! It is such a rewarding and gratifying thing to do, and though it might be a small few weeks, it makes a lifetime’s difference to that dog! What if I fall in love with my foster dog and want to adopt him or her? If you’re good enough to foster, you’re good enough to adopt! Our fosterers get first refusal to adopt the dog they foster, subject to Westie Rescue’s normal adoption Terms and Conditions. So, what do I do if I want to foster for Westie Rescue? Give me a call! We usually build a close relationship with our fosterers. A good fosterer is a wonderful attribute to a rescue, and we like to get to know each other to some extent! I’ll get you to fill out a form, and we will send someone out to you to talk to you more about the process.